Being in the position of not being able to spend time with your children and be a parent to them can be extremely painful. For parents who have experienced this for a long time, it can feel like a living bereavement. If you feel that your relationship with your child may be under threat, it is important to take action as soon as possible. Try to open up a formal negotiation with your child's other parent. 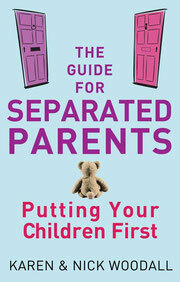 The aim is to reach a written agreement that would form a framework for your joint parenting. To start this process, it is helpful for you to feel fully prepared so that you are on solid ground when you begin your negotiations. Our negotiation tool and parenting agreement form can help you to think about the kind of settlement you want to reach. To begin with, you should write and explain that you would like to formally discuss your current arrangements. You should set down the things that you wish to reach agreement about (not in detail - simply the headings e.g. overnight stays). Ask your child's other parent how they would like to begin discussing these issues. If you wish, you could send a blank copy of the negotiation tool and the model parenting agreement form explaining that you found them useful. Ask your child's other parent to respond within a reasonable time. If you receive no response or their is a refusal to begin discussions, offer another chance explaining that you think it will be in the best interests of your child to reach a collaborative agreement. If this does not result in a willingness to engage in a discussion, then your only option is to use the legal system. This does not have to be expensive, you may complete the forms yourself and the first thing you will both be required to do is consider mediation.